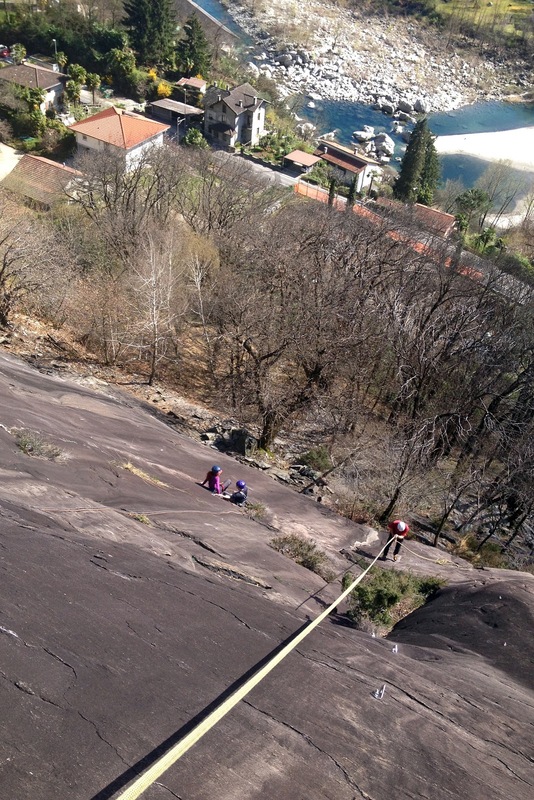 We wanted to make the most of the Easter break and it looked like the weather was going to be better south of the Alps, so we headed down to Tessin to do some climbing. 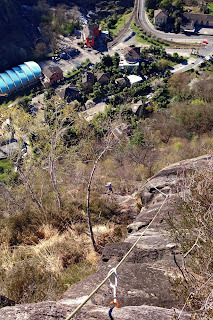 We stayed in Locarno and just took the bus to nearby climbing or hiking areas. This was our first time climbing in Tessin and we both really enjoyed doing the gneiss slabs! 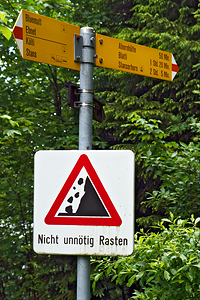 The climbing, difficulties and route names from either "Plaisir Sud" or the SAC Kletterfuehrer for Tessin. 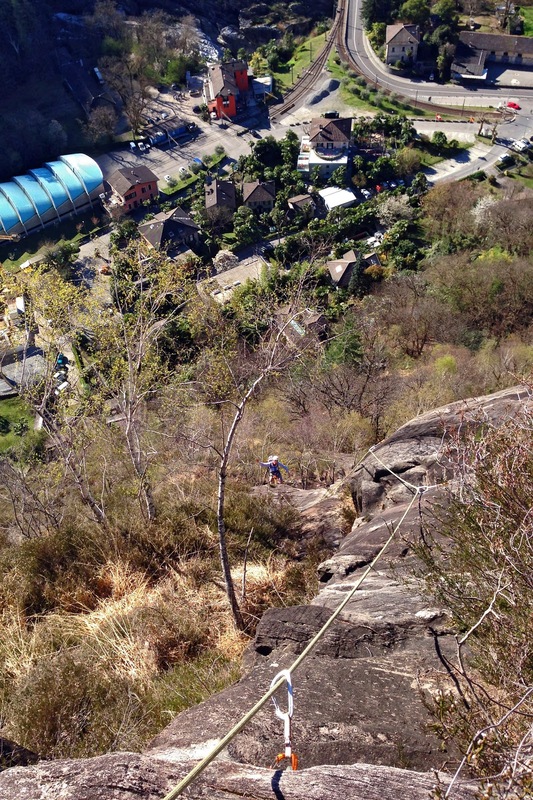 Unless otherwise indicated, we both lead-climbed each route. After finishing those things were starting to get crowded, so we walked past a few other sectors (full!) to get to the one furthest from the street. As hoped, there were a lot fewer people there. 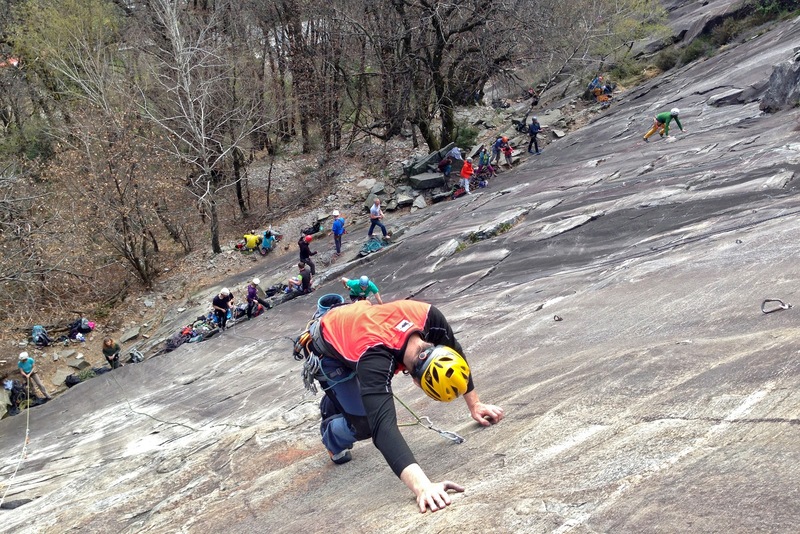 Not particularly challenging, but very fun climbing and a great lunch spot at the top. Since we got an early start, we only saw two other climbers. From the top it was a nice walk back down to Ponte Brolle and the bus back to Locarno.